For NetPlay Pro, click here. 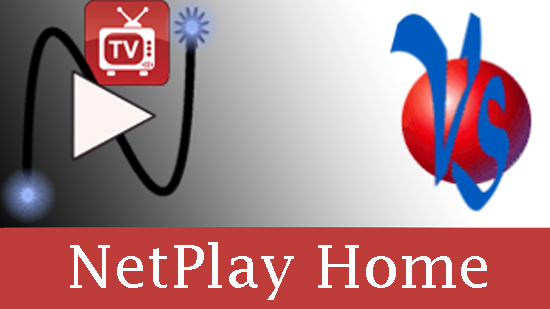 What is NetPlay Home? 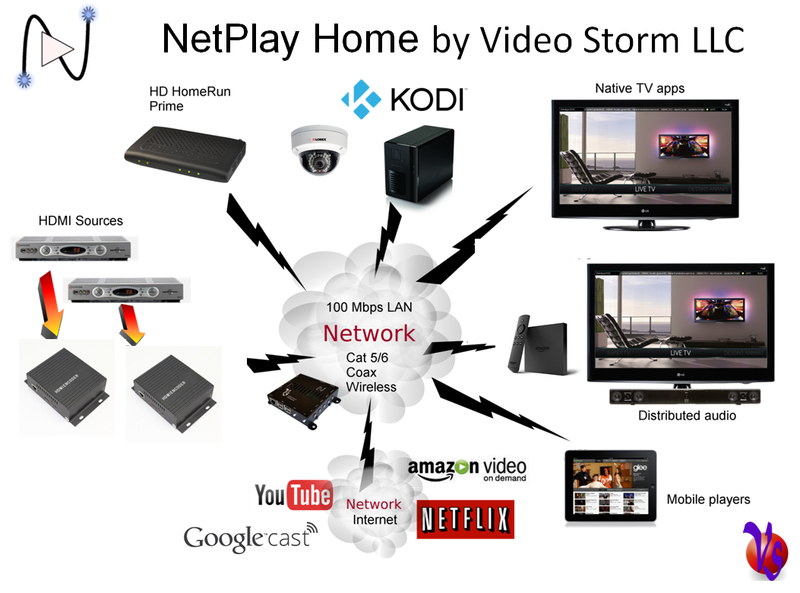 NetPlay Home is a revolutionary BYOH (Bring Your Own Hardware) network based AV distribution system. 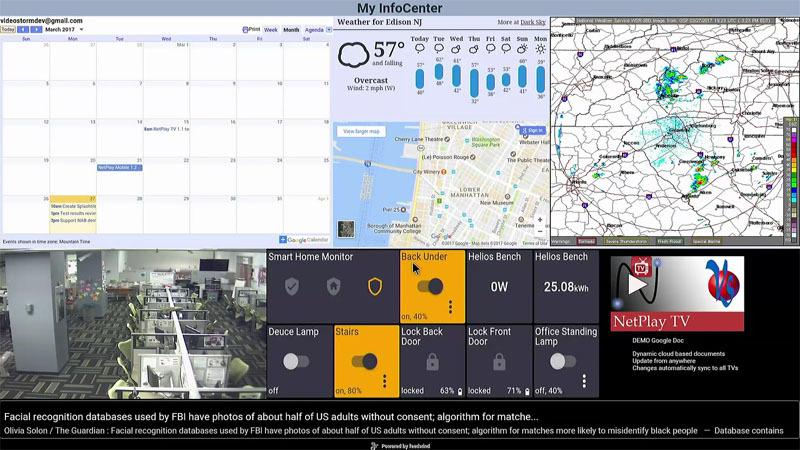 NetPlay Manager is the virtual matrix for your system, and it is Video Storm's system control solution for full control of NetPlay video and audio products via Android tablets with the NetPlay Mobile app. You can also use our free Control4 and RTI drivers or our protocol manual to build your own driver. NetPlay Manager is the controller CPU for your NetPlay Home system. 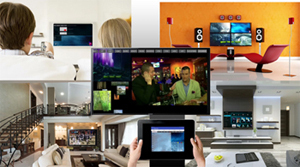 Full details on how to plan and order your NetPlay Home system are at NetPlay Home for Residential Installations. You will need 1 NetPlay Manager to control your NetPlay Home system. NetPlay Manager product has the following features. Enclosure. 4" x 3" x 1"
Default: NetPlay Mobile App license (requires Android version 5.1). 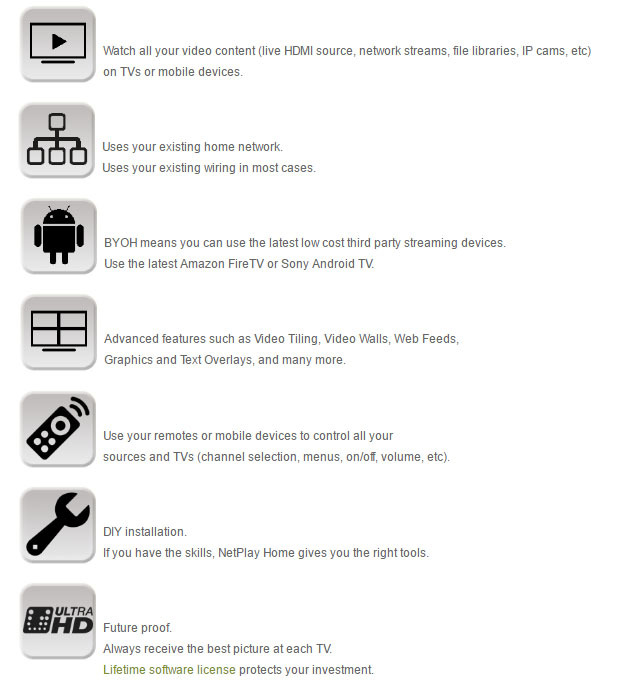 Provides full system control and small preview window of source video on your mobile devices. Optional: Full Screen Mobile Playback license: app with all sources enabled for full screen viewing on your mobile devices. Optional: IRUSB cable for IR control of sources. ORDERING NOTE: For each NetPlay Manager (NVMM), you can purchase NetPlay TV licenses and/or VRX040 corresponding to this device in the same purchase order, and a corresponding NetPlay Mobile app license will be assigned. A single order of NVMM with Netplay Mobile licenses, NetPlay TV licenses, and/or VRX040 cannot be split between multiple systems. In other words, please place a separate order for each system with 1 NetPlay Manager (NVMM) with the corresponding number of NetPlay TV licenses and/or VRX040 for that system.